People of all ages take up skiing and snowboarding for many different reasons... perhaps good friends are seasoned skiers and they'd like to experience the fun, they fancy a fresh challenge, or they just want to feel the thrill of the mountains for themselves. Whatever your motivation for taking to the snow and learning to ski, focusing your search on a few of the more beginner-friendly resorts and bearing in mind the few handy pointers below will start you off on the right ski. 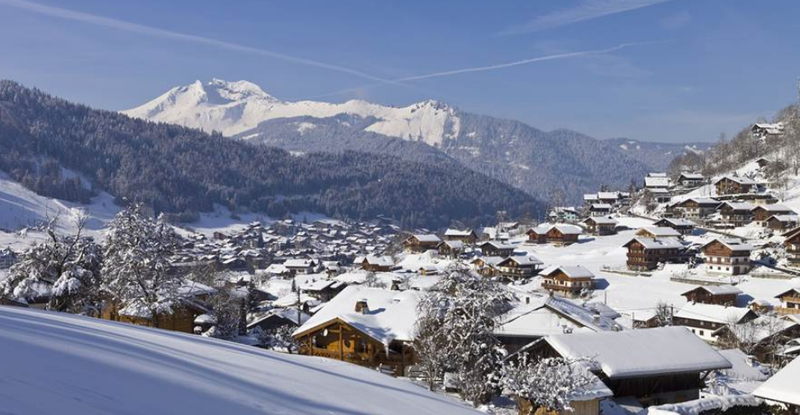 Morzine and Les Gets are two neighbouring resorts in the Portes du Soleil ski area in France, and they’re just outstanding for learners. Morzine offers a toddlers’ ski garden at the foot of the slopes and a handy caterpillar-track on the Pleney plateau which make life easy for beginners of all ages learning the ropes. These facilities, coupled with the plethora of gentle runs on the les Gets side, mean the area works really well for people starting out on skis. There’s a lively nightlife scene here too, especially in Morzine, so adult beginners keen to enjoy a few beers off the slopes have a good range of bars to choose from. To master the basics on the Morzine side, spend time on the nursery slope then try the run under the Belevedere chairlift at the top of the Pleney plateau. Once you’re happy there, you can progress to the long blue run snaking back to the base of the Pleney lift – piste D then piste B. On the les Gets side, there’s a lovely green run at the top of the Chavannes Express chairlift to practise on. You’ll find another brilliant green run in the les Gets bowl to the left of the Rosta chairlift. From there you can also try the blue pistes in the area. 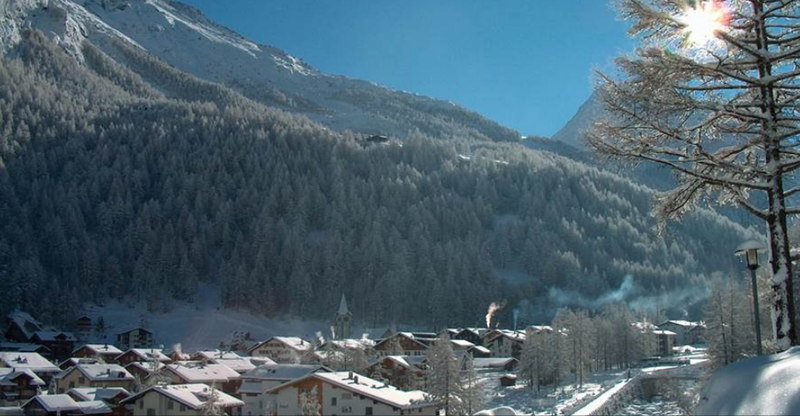 Obergurgl is a great resort for learner skiers taking to the snow for the first time. The village’s altitude is 1930 metres so the snow coverage is generally excellent all season long, and even on peak dates the queues for the chairlifts to get up the mountain aren’t too bad at all. Although the après-ski is good, it doesn’t run late so Obergurgl is generally peaceful and quiet – making it a great resort choice for families with children. Some of the best beginner runs in Obergurgl include piste 15 under the Steinmannbahn chairlift which flows down into piste 6 under the Hohe Mut Bahn 1 gondola, and piste 5 under the Festkoglbahn gondola. Once you’ve found your ski legs and are comfortable on the gentler blue runs, try your hand at the more challenging red runs to put your new skills to the test. Saas Fee is a pretty Swiss resort boasting a rapid lift system, excellent snow coverage, oodles of charm and outstanding beginner slopes. It’s a traditional mountain town with a completely car-free town centre and a wide range of non-ski activities to enjoy, so it’s great for families bringing children to the Alps. Saas Fee is by no means a large resort but the nightlife certainly packs a punch, so it also works well for thirsty adult beginners as well. It’s a strong all-rounder, sitting at a very respectable altitude of 1770 metres offering decent snow coverage from mid-November to the end of April. Saas Fee takes caters very well to beginner skiers and there’s a truly wonderful nursery area sitting at the edge of the village offering a gentle undulation ideal for learners mastering their first turns. With regard to progression on to slightly steeper terrain, you can choose any of the cruisy blue pistes located in the Morenia and Felskinn mountain peaks. The blue pistes heading up towards the Hannig area are also well worth a look. Although these resorts are all renowned for their facilities for skiing beginners, this is by no means an exhaustive list. Other notable resorts that cater well to learners are Soldeu in Andorra, Passo Tonale in Italy, Courchevel in France and la Rosiere, also in France. These resorts all offer outstanding nursery slopes with good scope for progression, and highly skilled and well reputed ski schools offering an excellent range of tuition to meet all requirements. It can be a stressful time for any parent on a family ski holiday, leaving their child in the care of others when being taught those early turns. But aside from popping a mid-morning snack into your child’s pocket before packing them off to ski school, there’s a couple of things worth considering before you wave them off onto the slopes with their instructor. For added peace of mind it’s a good idea to scope out the resort’s nursery slopes in advance and make sure you’re happy with it all. Chat to the instructors upon arrival if the chance arises, and learn a little about the programmes they teach. You can be pretty sure they’ll be well used to concerned parents and should be perfectly patient in explaining their plan. If you can’t resist the urge to ski over to the nursery slopes to try and spot your child busy in lessons, it’s best not to let them see you! Nothing distracts young skiers more than the sight of Mum or Dad on the brow of the hill, and in many cases once a parent has been spotted by the young skier concentration is lost, the tears start flowing and that’s lesson over for the day! Far better, if possible, to let them ski with their new peers in peace and tell you all about it at the end of the lesson. And if things are going well, why not suggest a family ski together at the end of the week so you can see their progress for yourself! Slow and steady wins the race. You may think you’re the next Franz Klammer, but the chances are that if you’re taking to the slopes for the first time the reality is rather different! If you’re in morning lessons, keep an eye out for a run or two you’re most comfortable on (a green or gentle blue perhaps) that you can go back and practise on after lunch. There’s no substitute for taking your own good time to master each new technique before progressing on to more advanced techniques. You’ll have to find a balance between throwing yourself into your newfound sport with gusto and avoiding unnecessary injury. There’s a wonderfully wide range of resorts suited to those looking to master their turns on the slopes, and we’re on hand to help you find your ideal destination. You can call us on 0203 0800 200 or reach us via our online chat service.